When people think of diet foods, many think of the boring tastes of a rice cake. 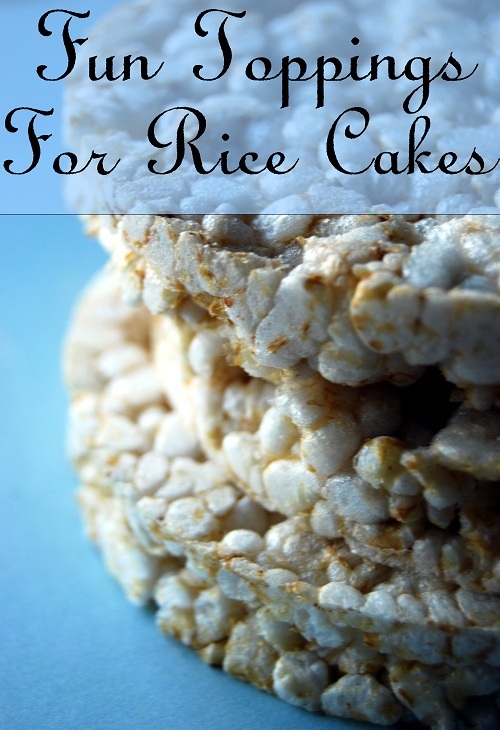 But rice cakes can actually be quite a tasty treat if you know how to top them! Try a few of these ideas the next time you are looking for a snack. Top your rice cake with a health dollop of peanut butter and a few slices of fresh bananas. Slice some fresh strawberries on your rice cake and top with some whipped cream. Spread a thin layer of cream cheese on top of your rice cake and top with slice fresh fruit of your choice. Spread a layer of warm refried beans on your rice cake and sprinkle a little cheddar cheese on top of the beans. Top your rice cake with some whipped topping and sprinkle with chocolate chips. To go all out you could even drizzle on a little caramel ice cream topping. Spread a thin layer of pizza sauce over your rice cake. Top with cheese and all your favorite cooked pizza toppings. Warm up for a few second in the microwave or in a toaster oven. Spread guacamole over the top of your rice cake. Top with some small pieces of fresh diced tomato. Top your rice cake with either chicken or tuna salad to make a rice cake sandwich. These are just some easy, and inexpensive ideas that you can try the next time you reach for a rice cake for a quick snack. What are some of your favorite rice cake toppings?